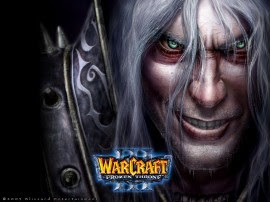 Warcraft 1.24 Patch now is on very fast development due the latest fatal exploit on WC3 engine, Warcraft Custom Map Virus. IceFrog is revealed on his latest post, that there will be Warcraft III 1.24 Patch in nearly future. Well, Blizzard and IceFrog is having mutual benefits so far from Dota-Allstars, so it wouldn't be strange if IceFrog can have inside source on Blizzard about this new patch. I didn't know the Warcraft 1.24 Patch changelogs yet, but i guess it sole purpose is to close the current major exploit that can execute external file from WC3 engine. Update: Warcraft 1.24 Patch is released! Check it in this post. IceFrog said in his blog that he urges people playing in cafes to tell their owners to update to the latest WC3 patch. awesome! lot of comments here! This was great I really liked it .If you wanna to play games & have more fun like this look at this too..One of the great things about in-game money and virtual economies is that they never went through this whole economic meltdown. So take that to all of those people who think the real world is better then computer games! I'm the last one not you!!! damn it!! I think battle.net has jumped to 1.24 because I see some problems with ghost. People ask compatibility with 1.24 on ghost one. Yeah. I was right. It really has been released. Check it out! Patch is not avaible on the ftp site. one simple answer to that is..the higher version won't read the lower version and the lower version do the same to the higher version..you still can join by typing if you know where you want to join..but at the risks of getting disconnected..so better use same version..because you won't see any game in the lobby even if someone really become a host that time if the versions really different at all.. IF ya smell what patch 1.24 is cooking ! Fruckers dota freak 8===D Bading Icefrog!! !